Forest park is a smaller community of 45 spaces on 10 acres. It has a great location at 601 Merrimac Road in Blacksburg, Virginia, only minutes away from shopping and your favorite restaurants. Lot rent is $292.00 monthly and rental homes start at $450.00 a month and up. This excludes utilities and curb side trash. Our pet policy is 25 pounds and under; no aggressive breeds allowed. 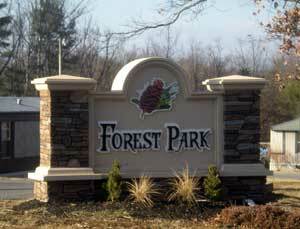 If a smaller community is what your looking for, Forest Park is for you! Great Blacksburg school district; Kipps Elementary and Blacksburg Middle and High schools.